Well built and easy to use. The black colour scheme may not suit all kitchens. Finished in a stealth black exterior, the R372KM from Sharp provides a substantial 25 litre capacity, with 11 different power levels and 8 assorted auto cook and defrost settings. The controls are very well labelled - you won't need to consult the manual in order to be up and running - no symbols are featured, and instead each button is clearly marked with easy to read text. Build quality is pretty good - the various sections of the microwave feel like they are well constructed. Overall dimensions are 30.6cm by 51.3cm by 42.9cm, and inside the microwave you'll find a generously sized 31.5cm turntable, which should accommodate the majority of large plates and dishes. 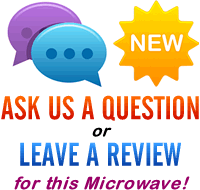 Our testers were impressed with the cooking performance of this microwave - with no cold spots or uncooked areas. Essentially this is a well built, large solo microwave, which is both easy to use and performs well. The Sharp R372KM offers pretty good value, and is very easy to operate. 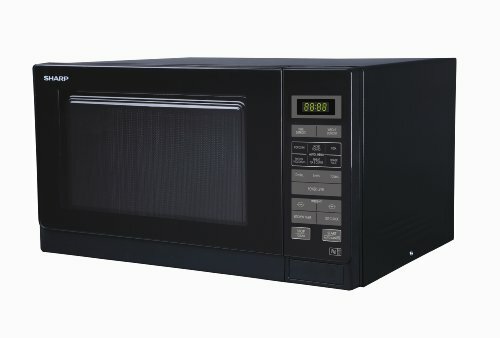 If you need a large solo microwave, then the R372KM is well worth considering. What are the internal measurements of this microwave?